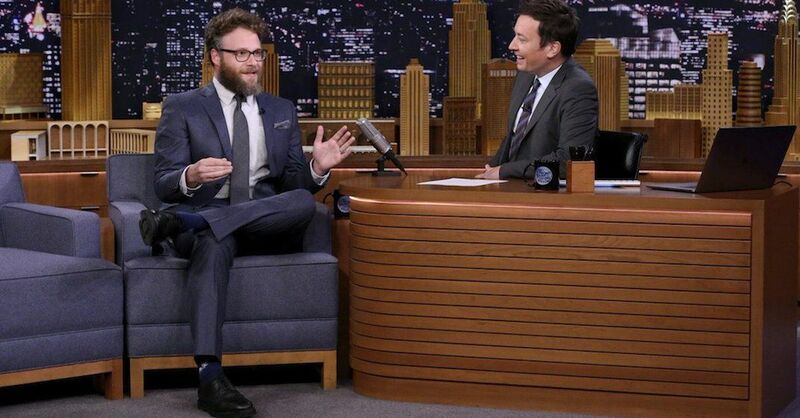 Canadian funnyman Seth Rogen made an appearance on the Tonight Show with Jimmy Fallon last night. While in the hot seat, the actor talked about filming his latest film Like Father, being inducted into Canada’s Walk of Fame, but more importantly, becoming the voice of public transportation in both Vancouver and Toronto. “I don’t stop, I really like to have my finger in a lot of pots,” said Rogen when dishing about the new opportunity. “Someone else was supposed to do the voice of the public transportation in Vancouver but he was eliminated due to controversy,” said the 36-year-old, referring to Morgan Freeman who was originally supposed to voice Vancouver’s SkyTrain announcements before the project was abruptly cancelled after the actor was accused of sexual misconduct. “I swept in and was like I’ll give announcements,” said the comedian. “I take public transportation as I’m sure a lot of New Yorkers do. People do appalling things on there. I was like, ‘if I can give announcements to create any sort of decorum in this situation I’m more than happy to,’” he continued. “If I stop one person from doing that it was worth the time and energy it took,” said Rogen. We won’t spoil any more of the interview, just hit the play button below and enjoy.